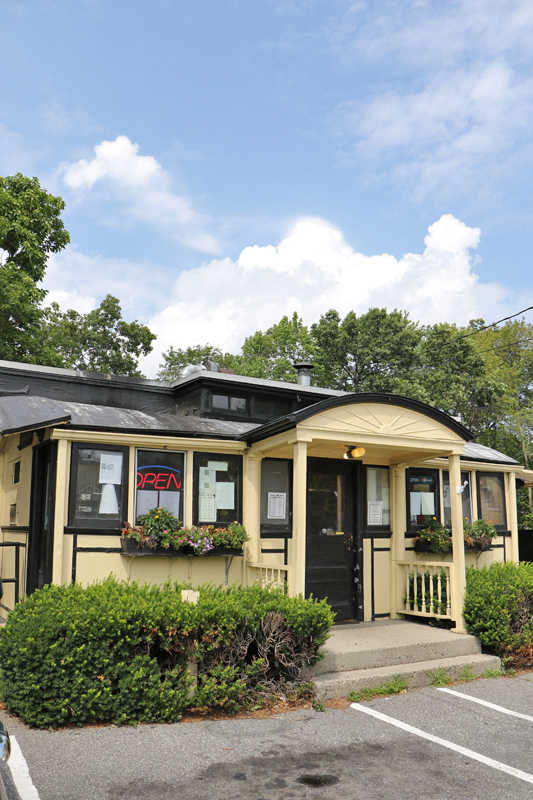 The oldest operating Worcester Lunch Car Diner that I know of is in Natick, Massachusetts. It was built by the company way back in 1922. 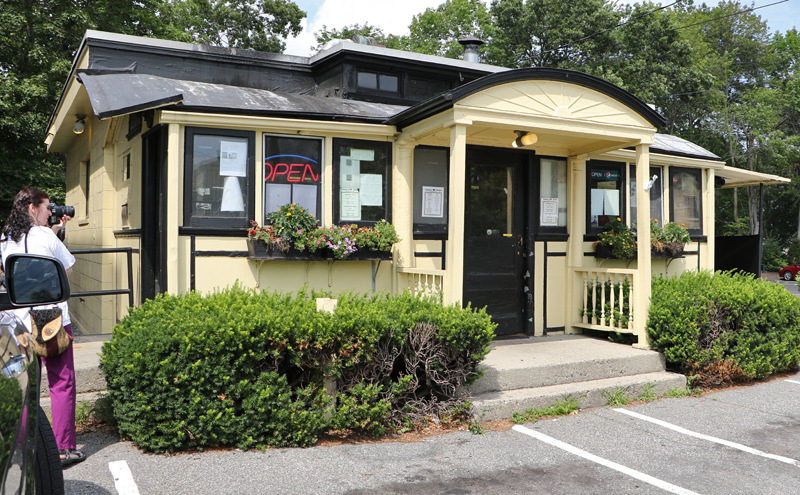 This is Casey’s Diner. It’s TINY. It only has ten stools. That’s it. No booths. The doors slide, rather than open, so they don’t interfere in the tiny space. 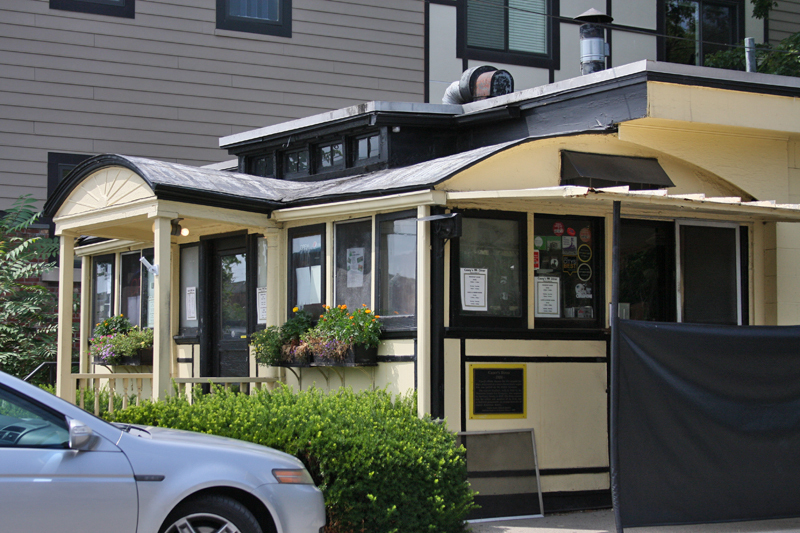 There’s one door on the front (with the awning now over it), one on the left, and on the right they’ve created a take-out window to handle the overflow. Back when this lunch car was first built it was on wheels (!!) but now it sits on a foundation. Note the skylight in the top center. Here’s a better view of the take-out window. 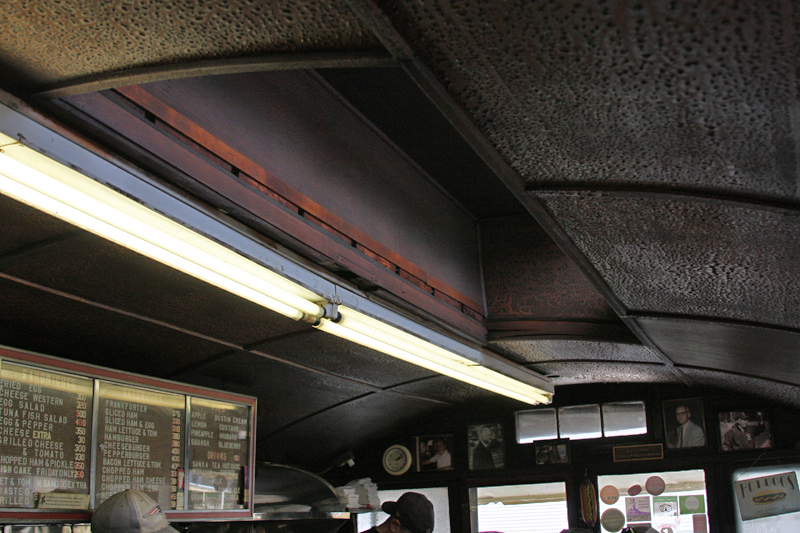 Inside we have the gorgeous curved barrel roof which was a traditional part of the Worcester Lunch Car Diners. The menu board with the moveable letters to set the prices, and of course the grill for cooking the food. 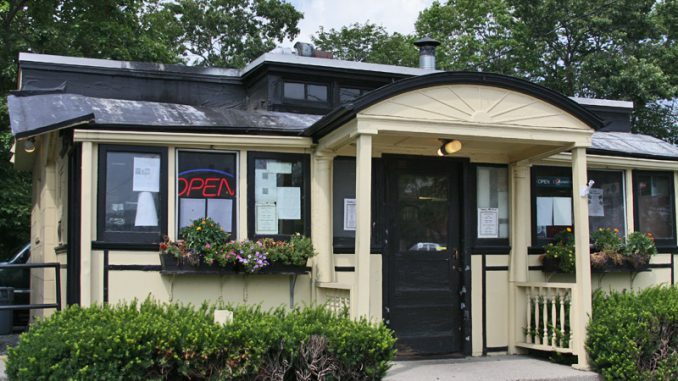 Casey’s specializes in hot dogs and burgers. 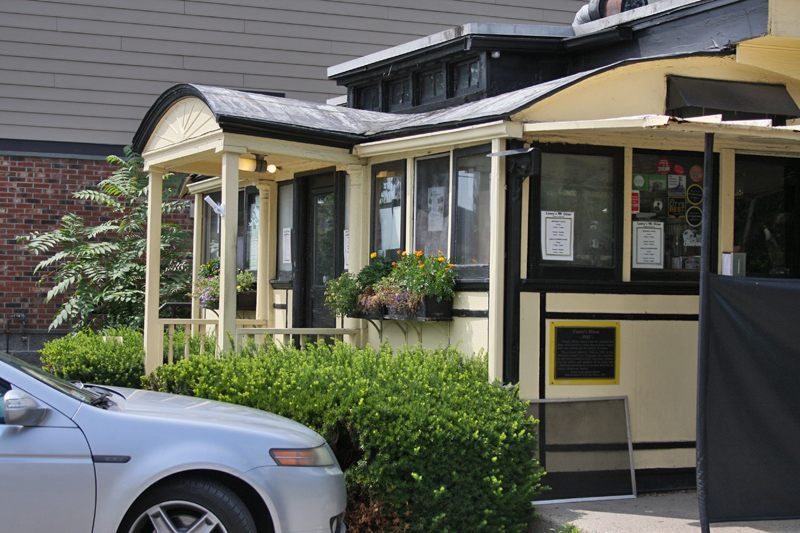 The diner looks beautiful with its flowers and awning. It doesn’t look much like its original “lunch car” state, but that’s all right. 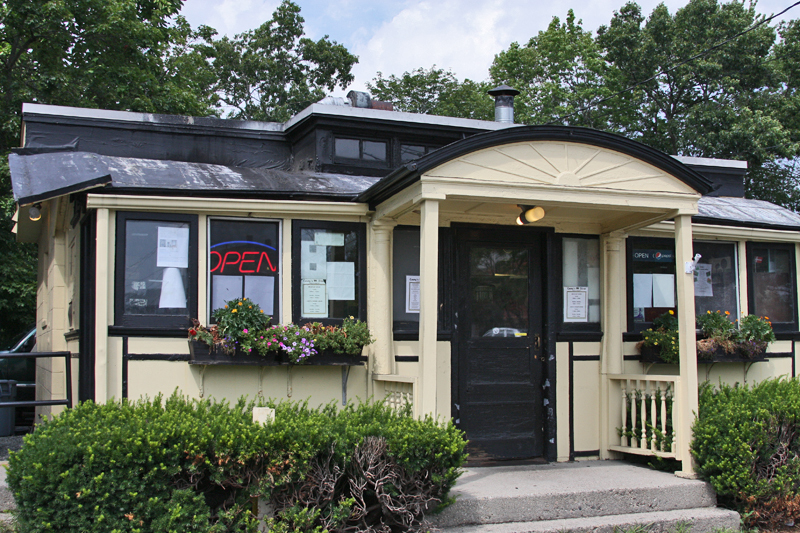 There are other diners which still maintain that classic look. Look, a rare image of me taking photos of the diner! That’s because Bob came along with me to take some photos as well. 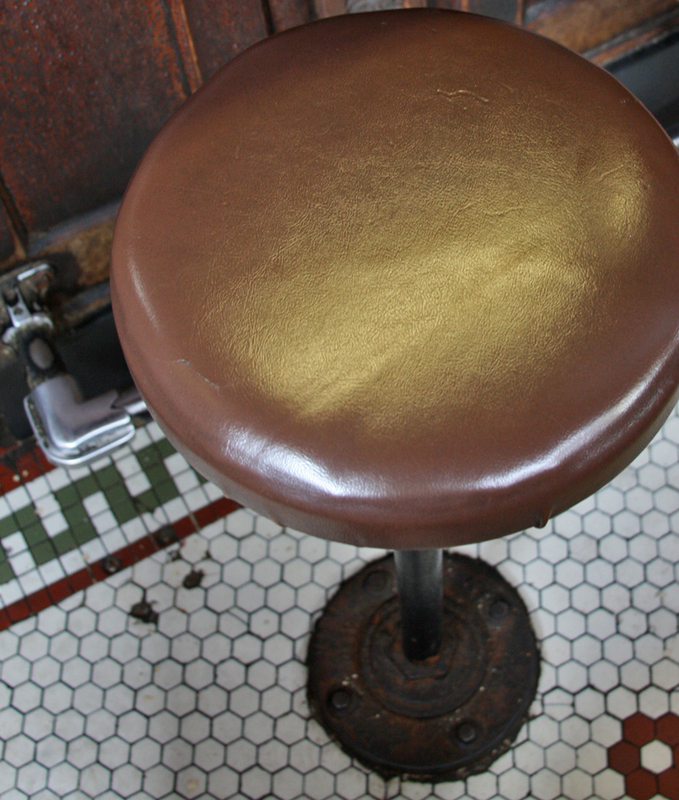 As this was one of the early diners, the stools were simple vinyl. No chrome. The ten stools are simply brown. The floor is hexagonal tile in simple patterns. 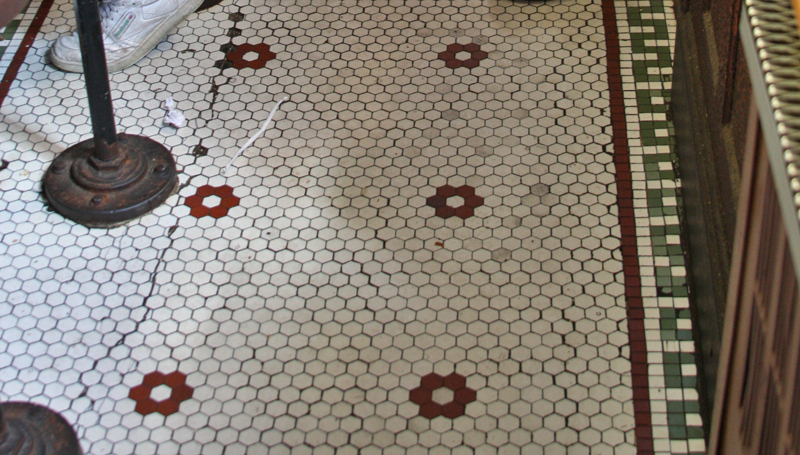 Another view of the original floor. Here’s the windows over the take-out area. 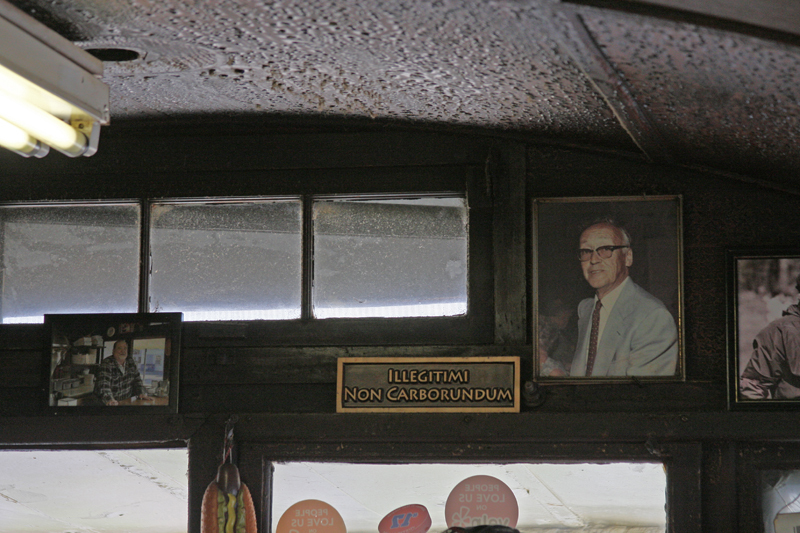 Note the Illegitimi Non Carborundrum sign. It’s a good practice for your Latin! 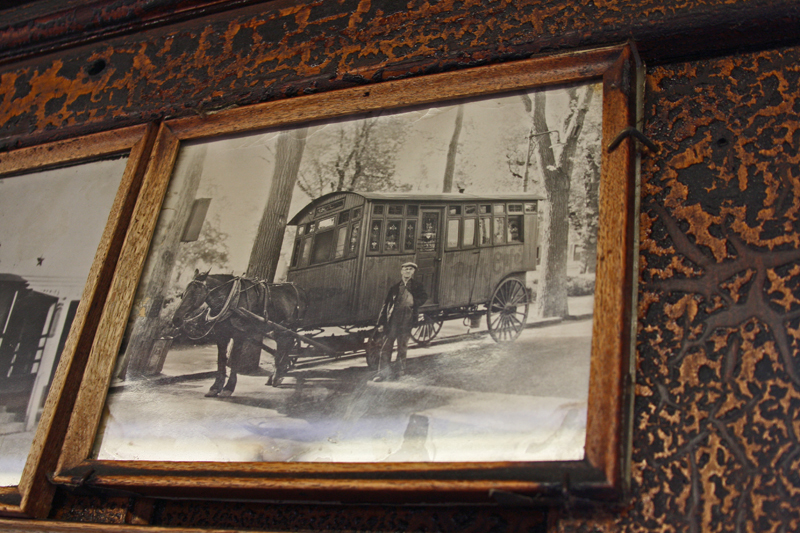 And here’s a photo of that original lunch wagon that used to service the area before the Worcester Lunch Car Diner came along. Isn’t that amazing? Imagine hooking up a horse to your “rolling restaurant” and moving along from place to place feeding people! All in all Casey’s Diner is well worth the visit. It’s on the National Register of Historic Places, #99001122.